The European Commission is set to announce a clampdown on Geo-blocking, the practice that restricts access to internet content in other countries. "too many Europeans cannot use online services that are available in other EU countries, often without any justification; or they are re-routed to a local store with different prices. Such discrimination cannot exist in a Single Market." At the moment, Geo-blocking restricts access to services such as Sky Go and BBC iPlayer beyond the UK and parts of the RTÉ Player outside of Ireland even if someone is usually resident in the respective country. 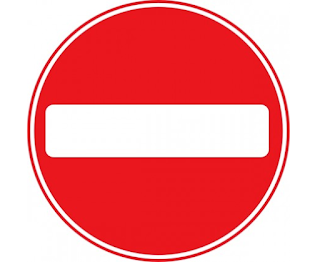 Geo-blocking stops UK and Ireland users accessing content from other parts of Europe, although many workarounds - albeit ones that breach content provider's terms and conditions of usage, are widely available. Geo-blocking is usually required to satisfy rights holders, such as football governing bodies and other sporting organisations as well as Hollywood movie studios, who sell rights to broadcasters on a country-by-country basis. The Commission's "Digital Single Market Strategy" is set to be unveiled this week outlining further details of how the Commission intends to tackle the situation. It's expected that the Strategy document will announce that new laws to end restrictions are to be outlined during the first half of 2016. The European Commission will also be looking at future spectrum use, with plans to transfer further TV frequencies to mobile network operators around the turn of the decade.